Focus software not only provides you, the employer, with total control of the time, attendance and working patterns of your employees, but also enables you to selectively empower your workforce. 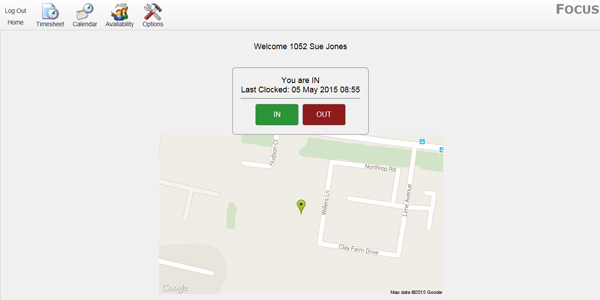 Clocking in/out – employees can clock in/out whether working in the office, at home or on the move. This web-based feature has Google Maps functionality to pinpoint the geographic location of every web clocking. 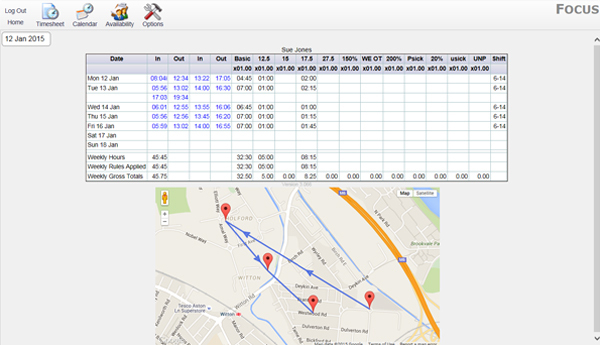 Timesheet – this allows employees to view clockings, time accrued with rates, absences recorded and any bonuses applied, providing a snapshot of the pay they expect to receive. Calendar – here the employee can check holiday entitlement either taken or booked as well as make holiday requests or other authorised absences. 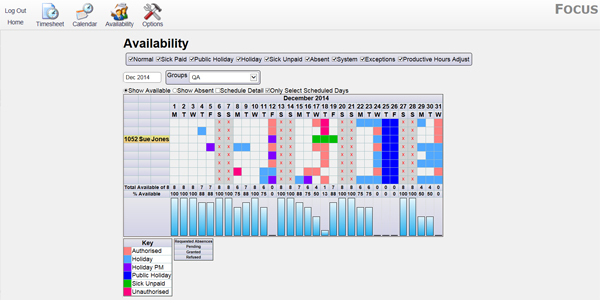 Availability – employees can check one another’s work patterns helping with holiday and absence planning to ensure coverage in your workplace is optimised at all times. 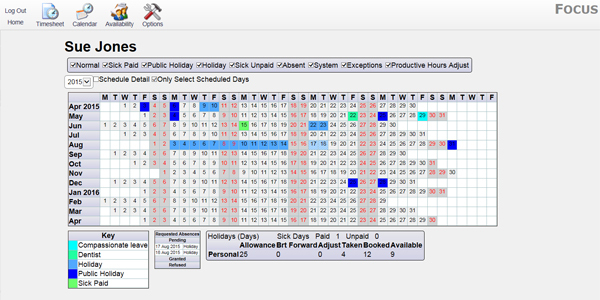 Rota – allows employees to know their work commitments in advance, helping them to plan holidays and other authorised absences. By trusting your employees to ‘own’ such responsibilities, you will help encourage commitment to your organisation as well as relieve your supervisors from some of their more routine tasks.